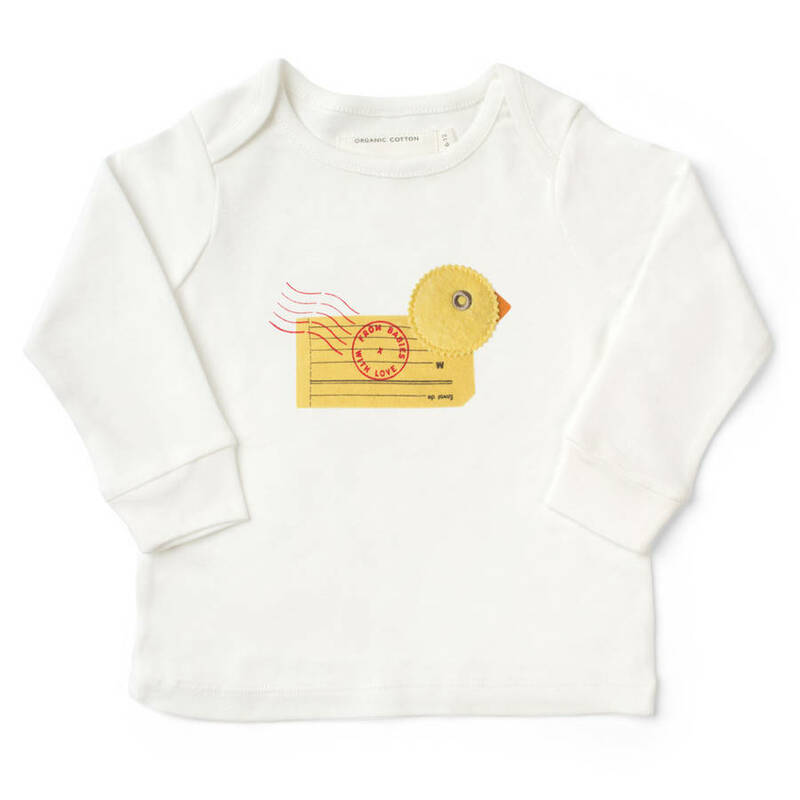 The bright yellow Duck character on this charming organic baby t-shirt is a beautiful unisex option, designed using vintage postal materials. 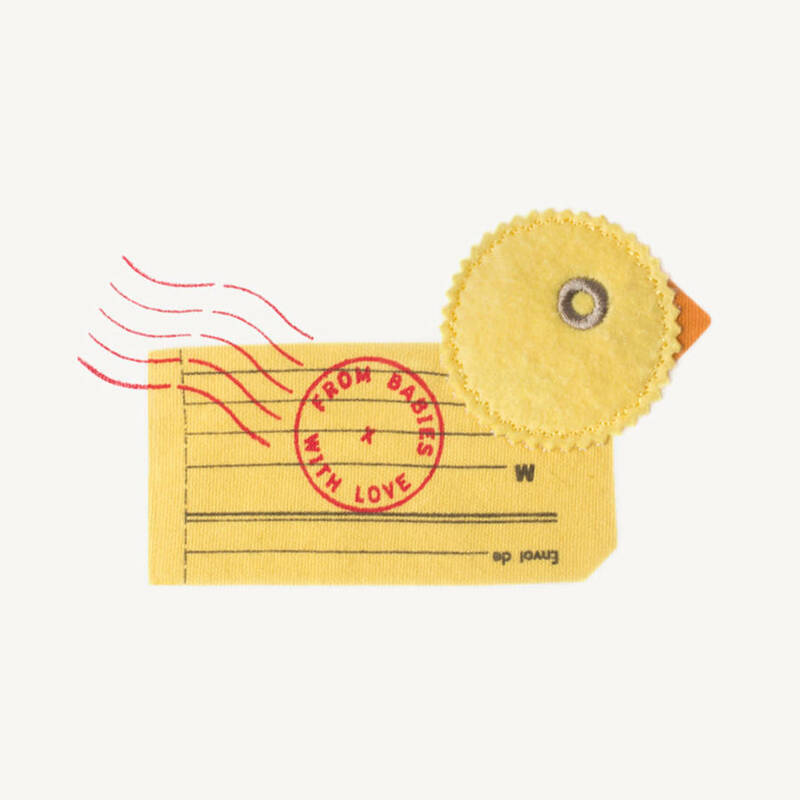 A lovely gift for newborns and first birthdays, the eye catching duck uses appliqué detail on the head and eye to create the modern and fun character. 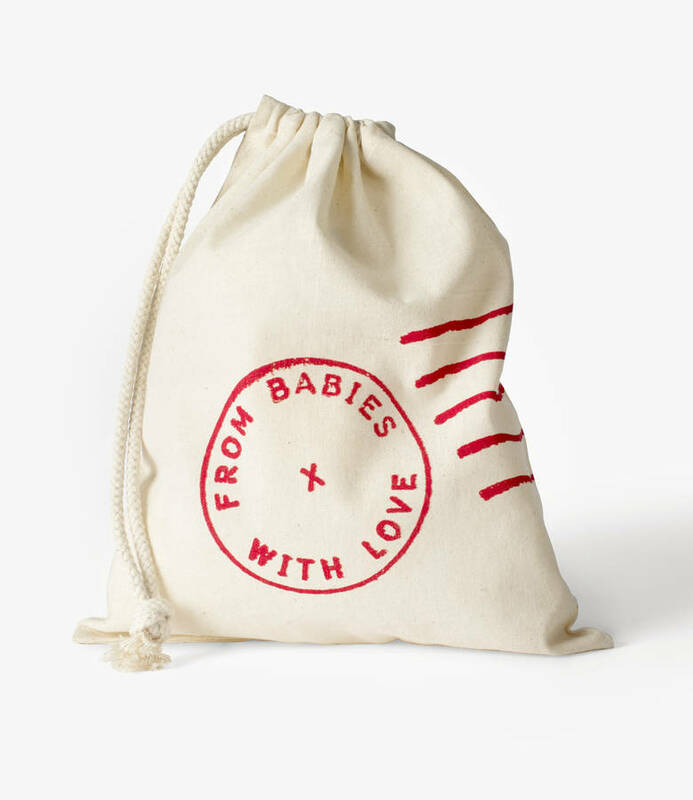 Each order is stylishly presented in a complimentary From Babies with Love drawstring gift bag, adding the final touch to your gift. 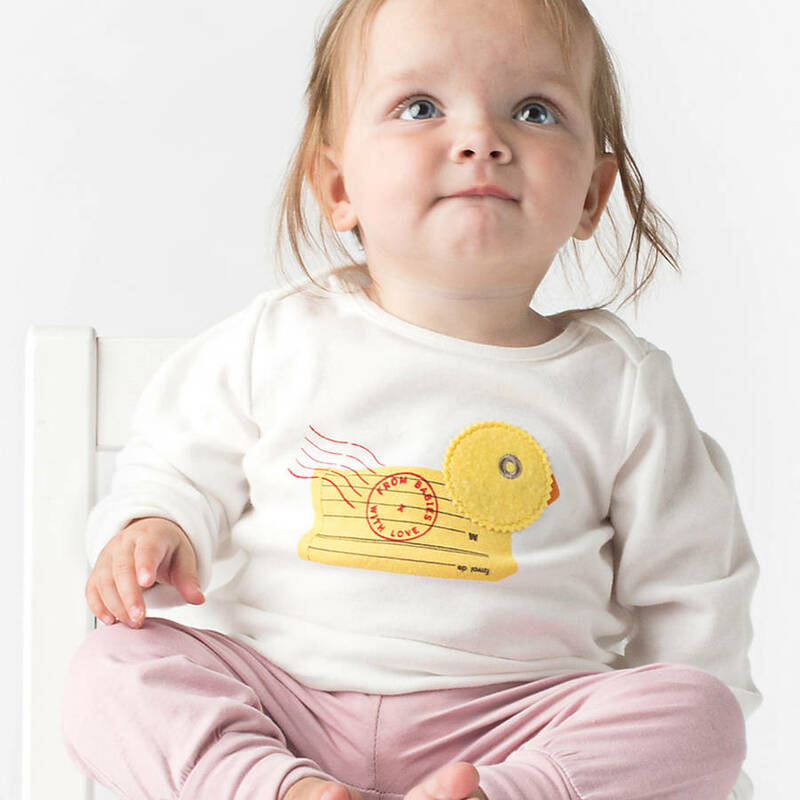 Made from soft organic cotton certified under the Global Organic Textile Standard.